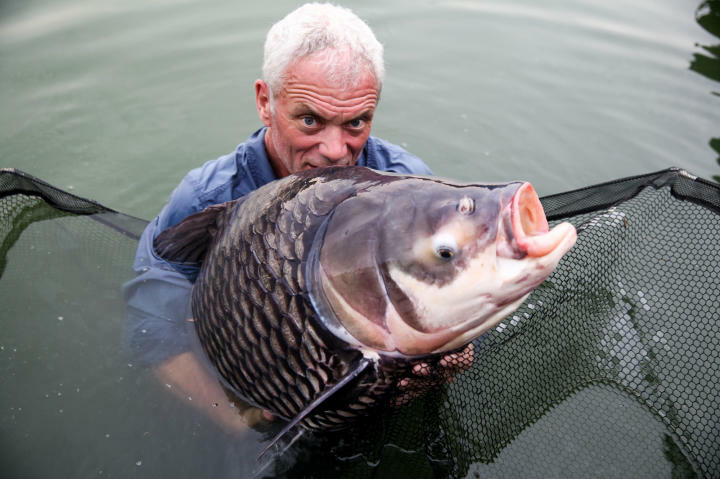 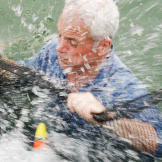 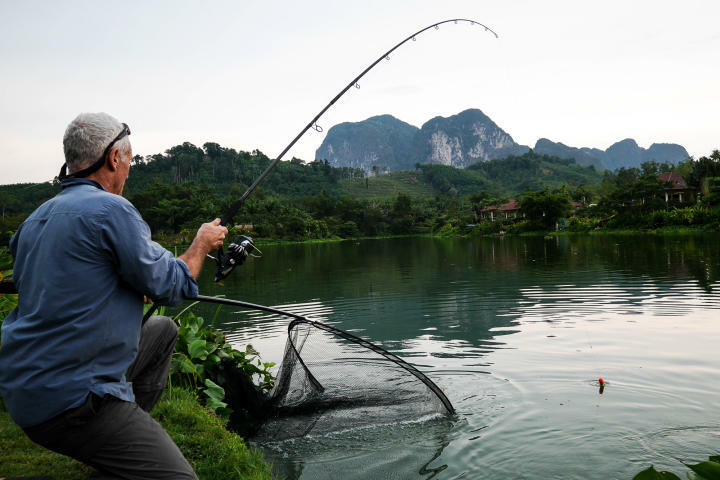 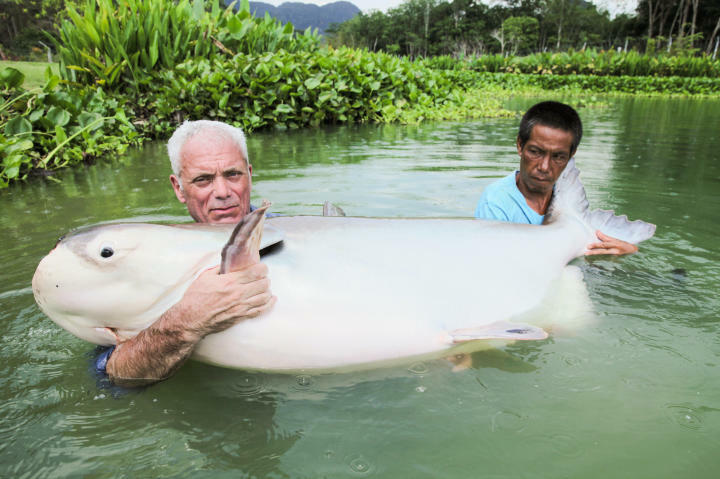 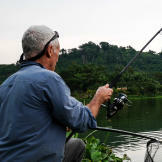 3 Jeremy Wade in the water with a Siamese Carp. 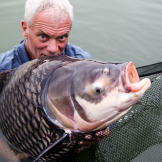 5 A silhouette of Jeremy Wade casting off at sunset. 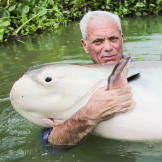 7 Jeremy Wade sitting on a raft boat in Kratie, Cambodia. 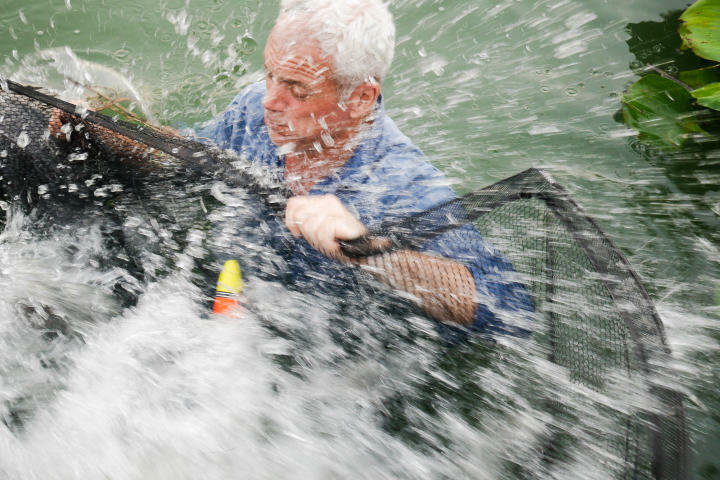 8 Jeremy Wade paddling in a boat towards in Tonle Sap Lake, Cambodia.